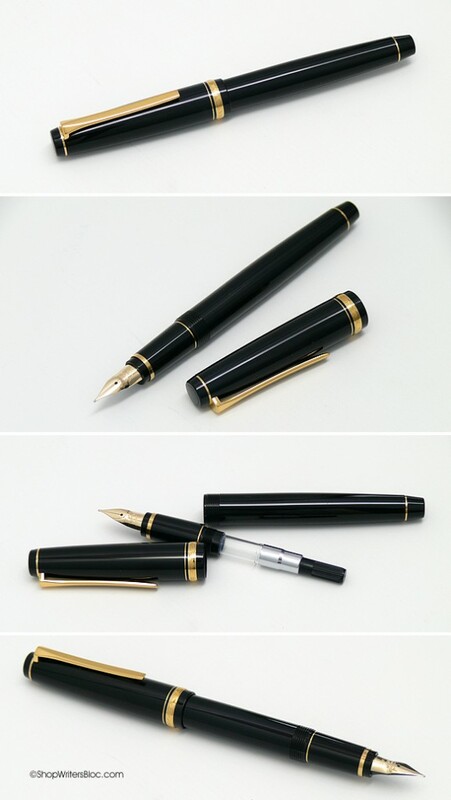 What is a Flex Nib Fountain Pen? 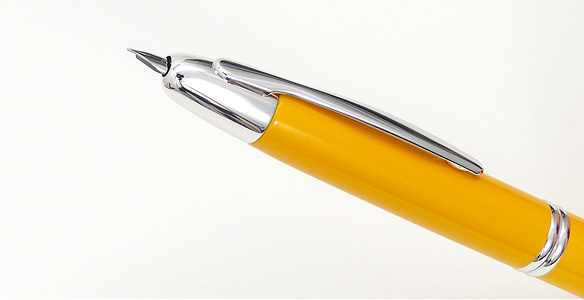 A flex nib (or flexible nib) fountain pen has a special nib design that allows the tines of the nib to curve and spread apart when pressure is applied during writing. 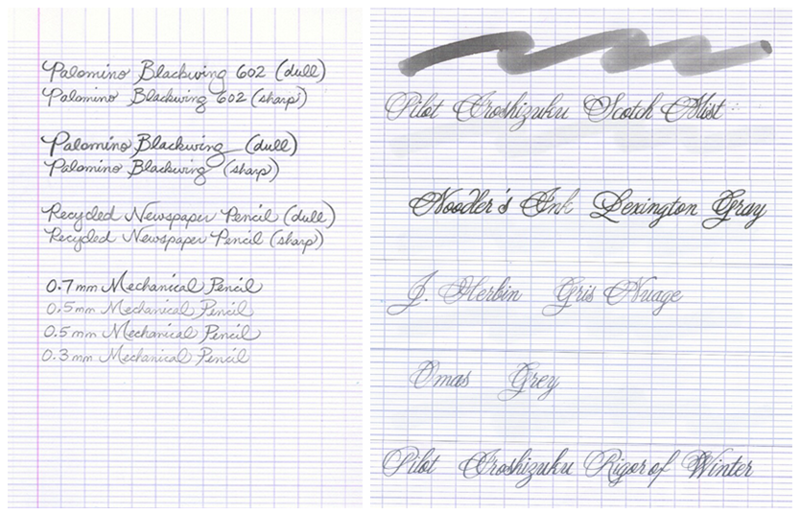 The nib’s flexibility produces varying line widths that can add character and beauty to handwriting or calligraphy. The shape of a flex nib is different than that of a regular fountain pen nib. The flex nib tines are longer and thinner to allow for more flexibility. Flex nibs must be used carefully! If too much pressure is applied to the nib during writing this can cause permanent damage to the nib. The degree of flexibility varies among flex nibs. True “superflex” or “wet noodle” nibs are no longer manufactured and exist only in vintage fountain pens. Flex nibs found in modern fountain pens are considered to be “semiflex.” These have less flexibility but are easier to use and more durable than their vintage superflex cousins. To get the most flex out of a modern nib, an expert nibmeister can be hired to modify a nib to create a more flexible writing experience. When writing with a flex nib you will need to practice, take your time and write more slowly than you would with a regular fountain pen nib. The fountain pen ink you choose to use will affect your writing experience since ink properties vary, so don’t be afraid to experiment with different inks. Noodler’s Ink has created a couple of inks specifically designed for use with a flex nib: Black Swan in English Roses and Black Swan in Australian Roses. Be sure to get yourself some good quality paper such as Rhodia or Clairefontaine. 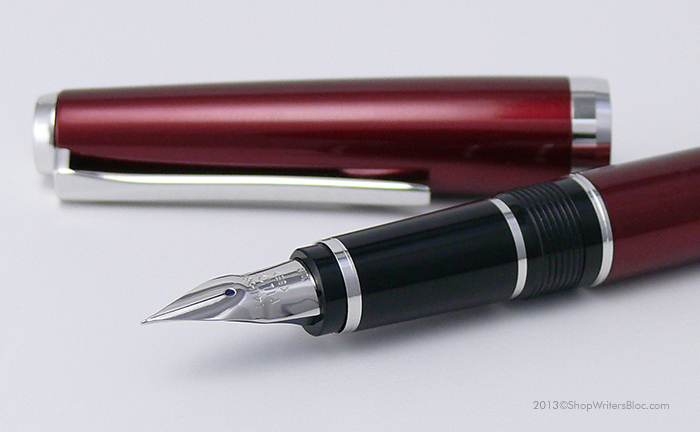 Writing with a flex nib fountain pen is a great incentive to improve your penmanship. Do you use any flex nib fountain pens? What are your favorites? 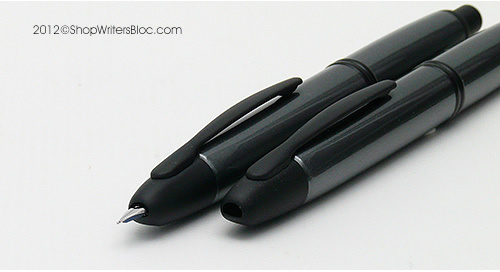 Do you have any tips you’d like to share with those considering buying their first flex nib fountain pen? 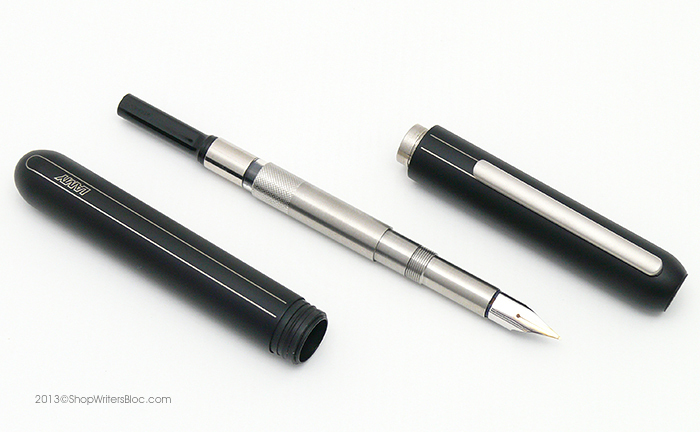 Thinking of buying a capless, retractable fountain pen? We’re comparing features of two popular models, the LAMY Dialog 3 and the Pilot Vanishing Point, to help you decide which fountain pen is best suited for your pocket! Vanishing Point: One click of the button on the top of the pen makes the nib appear or disappear. This can easily be done with one hand. 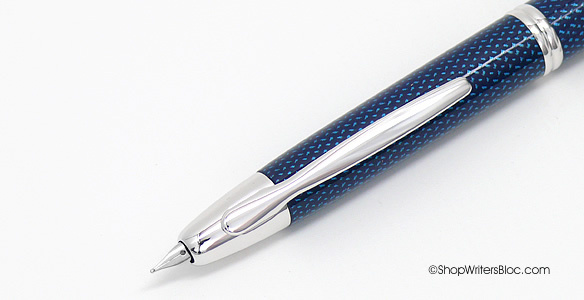 When the nib is retracted into the pen body a protective shutter mechanism closes over the tip. Dialog 3: Grasp opposite ends of the pen with each hand, give the barrel a twist and the nib smoothly glides out the bottom or retracts back into the pen. When retracted, a protective ball valve closes over the nib. Vanishing Point: Stationary clip mounted near the nib end of the pen. When clipped to a shirt pocket the nib points up to reduce the chance of any leaks, and when writing the clip points away from your hand. 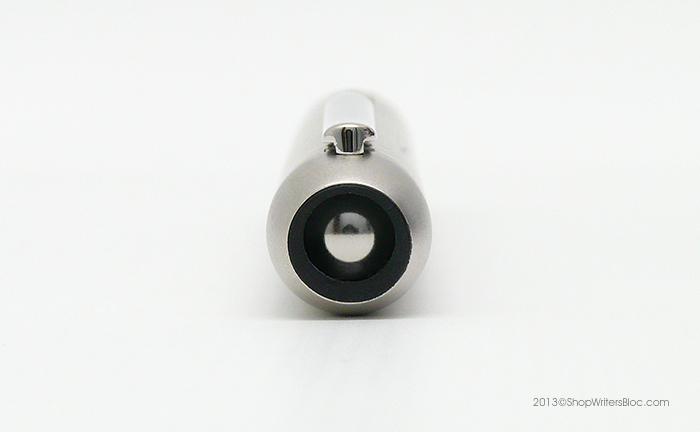 Dialog 3: Movable clip mounted near the nib end of the pen. When the nib is advanced the clip recesses slightly into the body, creating an ergonomic writing experience. Once the nib is retracted the clip can be lifted and secured to a bag or pocket. This design is a great example of genius German engineering! 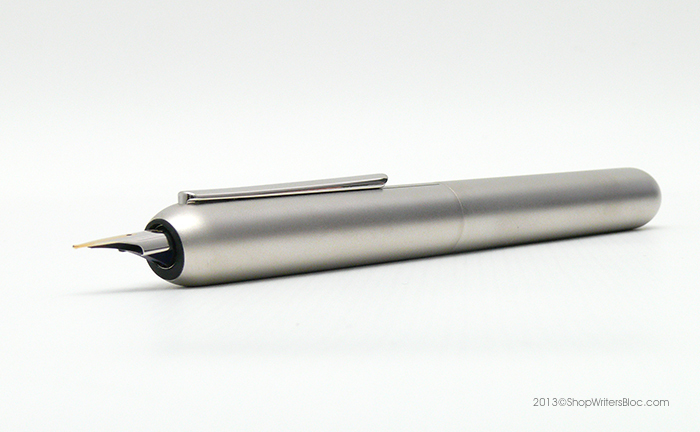 Vanishing Point: 18k gold compact hooded nib in either gold or rhodium finish. Extra-fine, fine, medium or broad. Dialog 3: 14k gold, bi-color gold and rhodium finish. Extra-fine, fine, medium or broad. 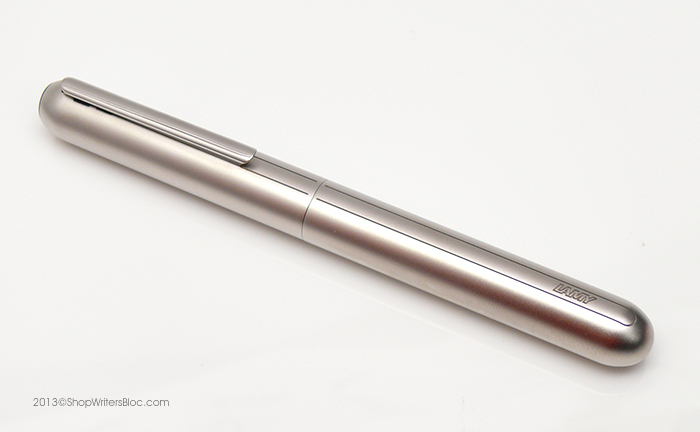 Vanishing Point: Pilot/Namiki IC50, IC100 ink cartridges or a Pilot CON-50 ink converter (included). Dialog 3: LAMY T10 ink cartridges or a LAMY Z26 ink converter (included). Vanishing Point: Metal, 1.1 oz. Dialog 3: Metal, 1.69 oz. 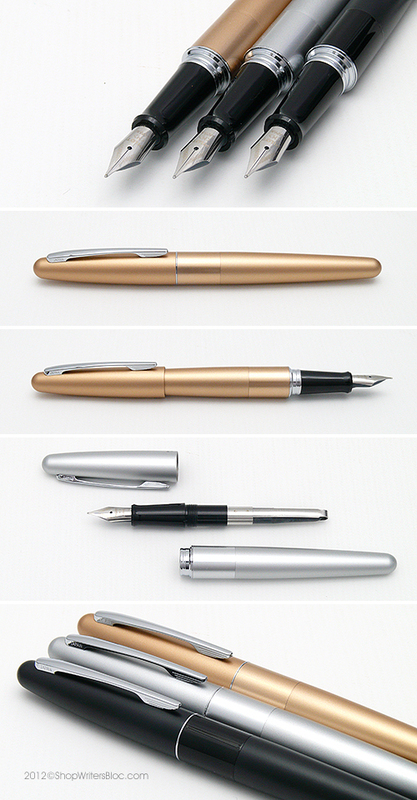 Vanishing Point: Pen length when nib is retracted: 5.5″; Nib extended: 5.4″; Diameter (not including clip): 0.5″. Dialog 3: Pen length when nib is retracted: 5.5″. 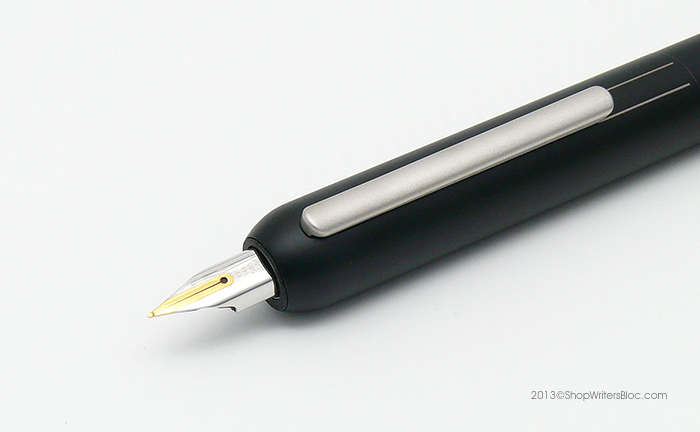 Nib extended: 6.2″. Diameter (not including clip): 0.5″. 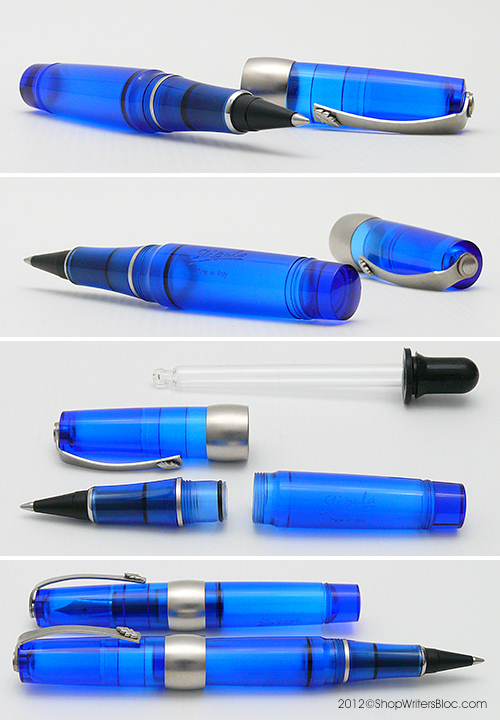 Do you use a retractable capless fountain pen? If so, what do you like about it? Which Gray Fountain Pen Ink Looks the Most Like a Pencil? If you’d rather write with a fountain pen, but want your writing to look like it was done with a pencil, which gray fountain pen ink should you choose? Pencil lead varies in width and softness/hardness making your writing appear darker or lighter in color. Also the kind of paper you’re writing on and how hard you press down on the pencil can influence the appearance of the line that is produced. Fountain pen ink is similar – the results vary depending on the width of the fountain pen nib and the paper you are writing on. The color of writing produced by pencil in our test turned out to be a warm shade of gray. Two fountain pen inks that are also warm shades of gray are Pilot Iroshizuku Fountain Pen Ink Kiri-same Autumn Shower/Scotch Mist and Noodler’s Ink Lexington Gray. Lexington Gray is a dark shade of warm gray and Scotch Mist is a medium shade. Three other gray inks that are cool shades of gray are: J. Herbin Gris Nuage, OMAS Gray Fountain Pen Ink and Pilot Iroshizuku Fuyu-syogun Old Man Winter/Rigor of Winter. When placed right next to writing done in pencil these inks have more of a “silvery” appearance (they are not actually metallic) because graphite pencil lead produces a warmer color of writing. On their own, away from any actual pencil, these inks still do have a pencil-y appearance. 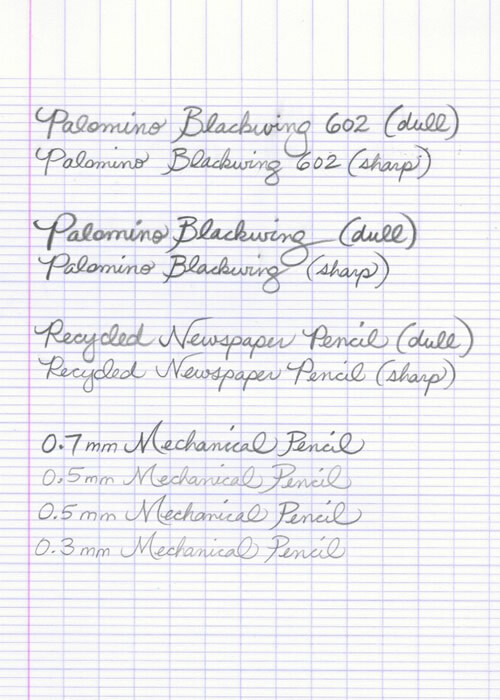 We’ve scanned some samples of writing done on Clairefontaine French ruled paper in both pencil and ink for you to compare. What do you think? Are there any of your favorite inks you’d like to add to this list? 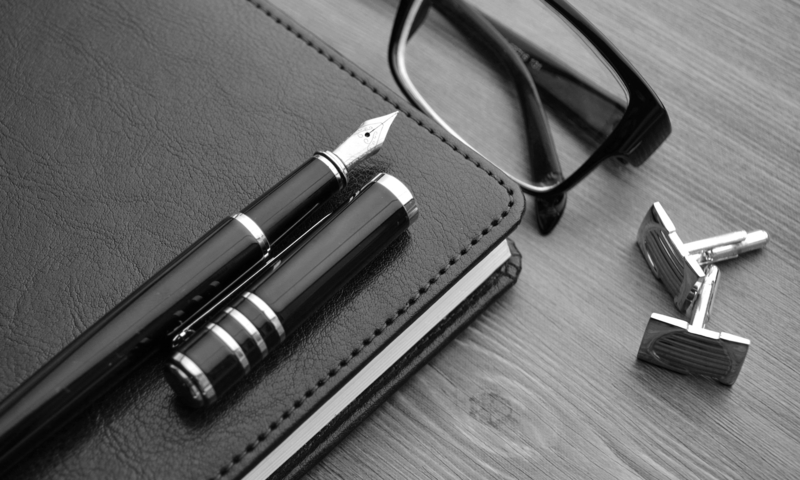 What Pen & Ink Should You Use For Signing Legal Documents? A friend of mine recently got a new position at her company that involves signing multiple legal documents during each business day. She needs to use either blue or black ink and wondered what fountain pen and ink I would suggest. Being a fellow stationery addict, she wanted something much more interesting, and more fraud resistant, to use at the office than a ballpoint pen. 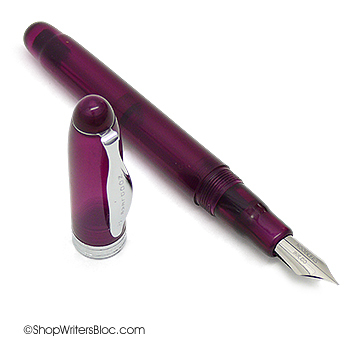 Stipula Bon Voyage Speedball Pen – no converter required – holds lots of ink! Of course, the requirements for each work environment will vary, and this blog post is not meant to be legal advice. Do you need to sign legal documents at work? What kind of pen do you use? If you use a fountain pen in the office, what kind of fountain pen & ink do you choose? Do you need a conservative color of fountain pen ink that is suitable for an office environment? Are you tired of plain old blue or black ink and want to write with a more interesting, yet subtle, color of ink? 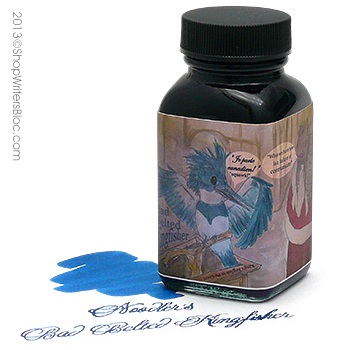 Off-black fountain pen ink may be just the ink you’re looking for! Depending on what paper color you choose to write on, Noodler’s Nightshade ink can seem to take on different hues. I would call it a dark purple-brown-black and especially love to pair this ink with cream colored paper. J. Herbin Poussière de Lune, or Moondust Purple, was created to mimic the color of the night sky when only the crescent moon is glowing in the dark. We could describe it much less poetically as a purple-black color. The brown-black color of Cacao du Bresil ink will make you think of a delicious piece of dark chocolate. Well, at least that’s what it makes me think of, but it doesn’t take much to make me think of chocolate. Pilot Iroshizuku Wild Chestnut ink is another brown-black ink color, named after the natural beauty of the dark brown shades of the fruit of the wild chestnut tree. Noodler’s Ink Red-Black ink is black with a punch of red added to it. Or is it red with the mystery of black added to it? Noodler’s Ink in dark Sequoia green might bring to mind a vacation spent in a peaceful forest. I can already smell the pine needles… now get back to work! Noodler’s Ink Air-Corp Blue-Black is one of our favorite shades of blue-black with a hint of teal. We have found this to be a great multi-purpose ink that works well in all sorts of pens including roller balls that refill with fountain pen ink. Do you write with ink colors other than blue or black? What’s your favorite color of fountain pen ink for the office?